In the most recent edition of Yellowstone Treasures you’ll find this note: “Construction on the Norris to Mammoth road is scheduled to continue through 2018.” Here is the latest report on the construction. Since June 11, the Norris to Mammoth road has been closed nightly from 10 pm to 7 am (excluding Saturday nights). 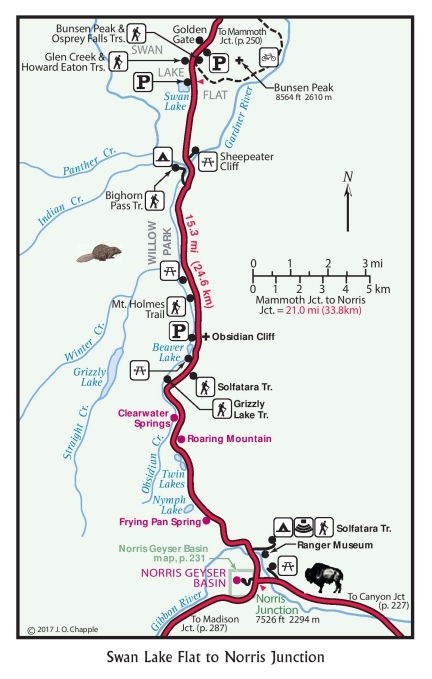 The word is to expect 30-minute delays in the daytime when driving between Roaring Mountain (the magenta dot east of the road on this map) and the Indian Creek Campground (the tent icon down a short side road, almost opposite the Sheepeater Cliff picnic area). 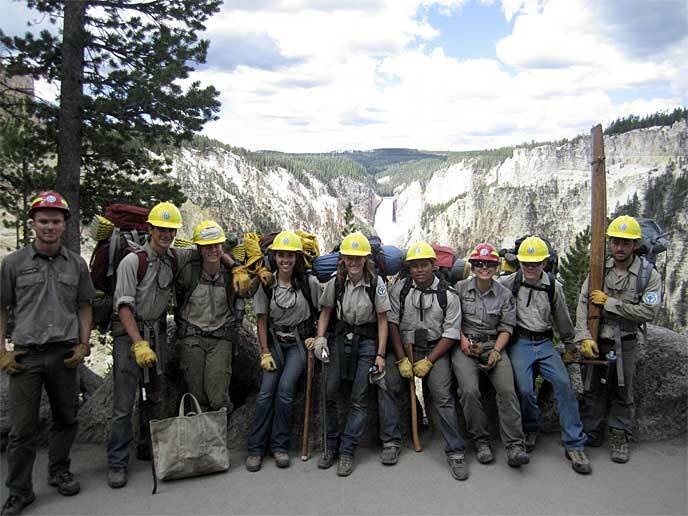 According to trip reports on the Facebook group Yellowstone Up Close and Personal, the daytime delays are usually not as long as 30 minutes. The important news is that from September 10 (10 pm) to October 6 (7 am), this section of road will be closed to all traffic (day and night). During the closures, people will be able to detour over Dunraven Pass (between Tower Fall and Canyon). Norris and Indian Creek Campgrounds, at opposite ends of the road segment, are remaining open during the season. During the road closure you will not be able to see Apollinaris Spring, nor Obsidian Cliff, nor will you be able to hike the Mount Holmes Trail. You can still hike the Bunsen Peak Trail from the north. Remember to check the National Park Service’s Park Roads page before you head out. CREDIT: Linton Brown revised this map for Yellowstone Treasures, Updated Fifth Edition (2017). You can find it on page 277. 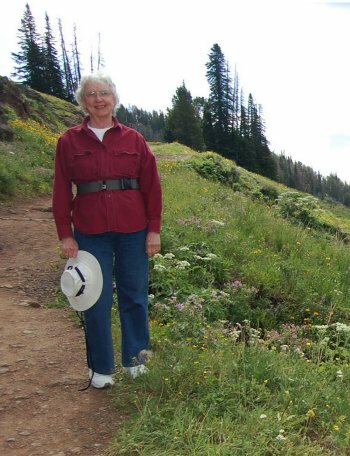 Author Janet Chapple poses among wildflowers at the start of the Mount Washburn trail. 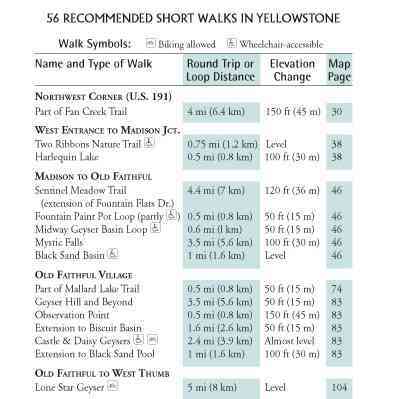 Once you are there, the road log format lets you figure out what you will come to just ahead—a picnic area, a hot spring, the chance to see bison, a waterfall—there are so many possibilities! Here’s an excerpt of the road log from the East Entrance to Fishing Bridge Junction. You get details about how strenuous a hike is, where to park, which mountains you can see at a particular viewpoint, and even how many picnic tables there are. Janet checked out every spot in the road guide and hiked on every trail she recommends, sometimes multiple times. 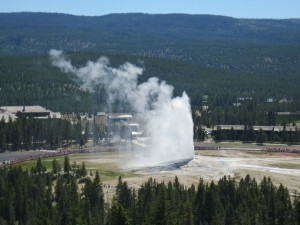 You may wonder, do I need to travel by car to use Yellowstone Treasures? Janet feels that even people who go through the park by bus would enjoy a copy of her book, both while in the park and afterward. Though they would not benefit from the mileage indications between points of interest, every other facet of the book should be useful, including maps, pictures, and planning aids. In case anyone is looking for assurance that s/he can now visit Yellowstone for the tail end of its summer and fall season, I will pass on the official URL with details of what is and what is not open. Today all the national parks are allowed to restore their usual welcome to all visitors. Hooray! Bears are now fattening for their winter hibernation, bull elk are rounding up their harems and bugling to show their dominance, and bison are in their rutting season. Nights are already beginning to be colder, and it could snow at any time. 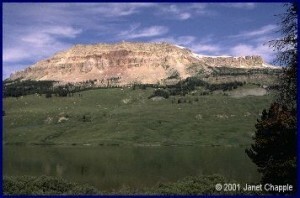 Remember, Yellowstone’s minimum elevation is about 6,200 feet (1,900 m). 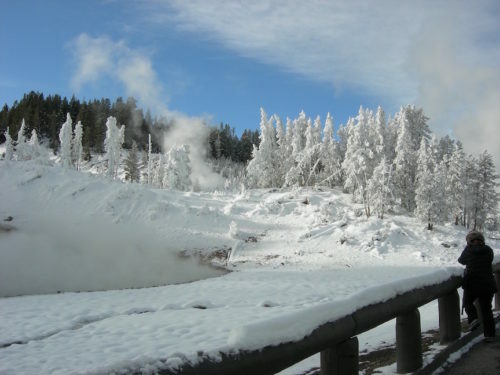 All park roads and most facilities are open into early November every year (barring a possible closure due to fire). Road closure dates have not yet been announced as of late August. 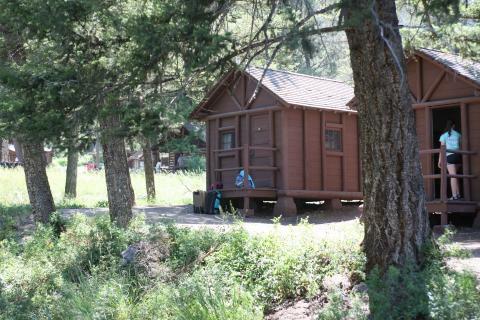 Campgrounds close between September 2 and November 3, hotels and cabins between Sept. 22 and Oct. 20. For Xanterra-operated campgrounds, hotels, and cabins, see the Xanterra website or call 307-344-7311.